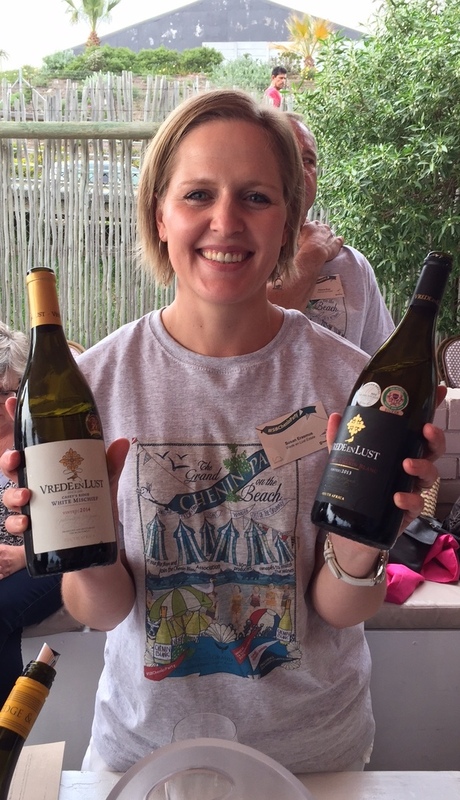 There were so many good wines on offer, including a magnum of the 2005 Ken Forrester FMC Chenin Blanc, which we tasted alongside the 2013 – fabulous! There are, however, two producers whose wines have stayed in my mind since the event. Vrede en Lust is a winery based in the cool climate region of Elgin, around the coast to the east of Cape Town. 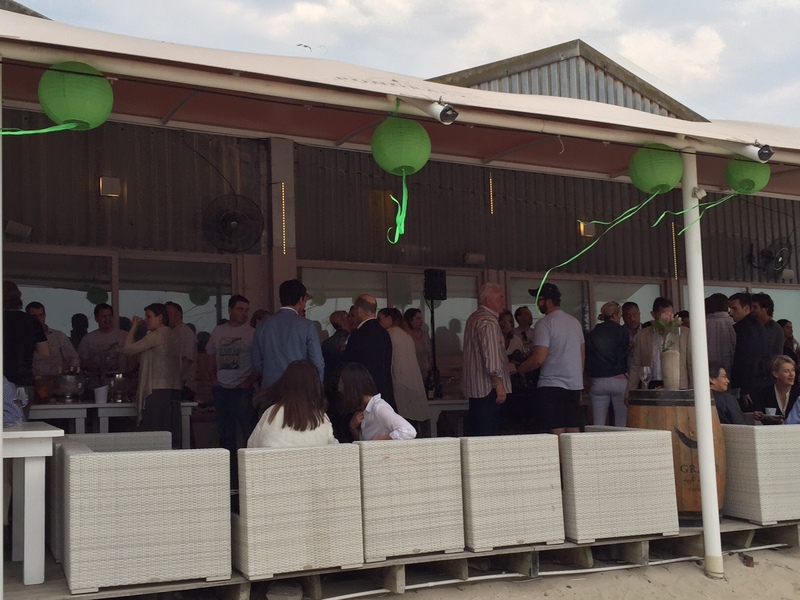 As luck would have it, winemaker, Susan Erasmus was on hand to pour the wines and chat about production. First up was White Mischief, a field blend made of varying proportions from Chenin Blanc, Sauvignon Blanc, Pinot Grigio, Semillon and Viognier. The grapes for the wine are sourced from the Casey’s Ridge vineyard. Here the vines grow in two types of soil; the Bokkeveld shale where Chenin Blanc, Chardonay, Semillon, Pinot Grigio and Viognier are planted and the Table Mountain sandstone, where most of the Sauvignon Blanc is planted, as well as some Shiraz. This wine was delicious with succulent fruit notes, good palate weight and refreshing acidity. It would work perfectly with grilled fish, a roast chicken or a selection of cheeses and fruit. 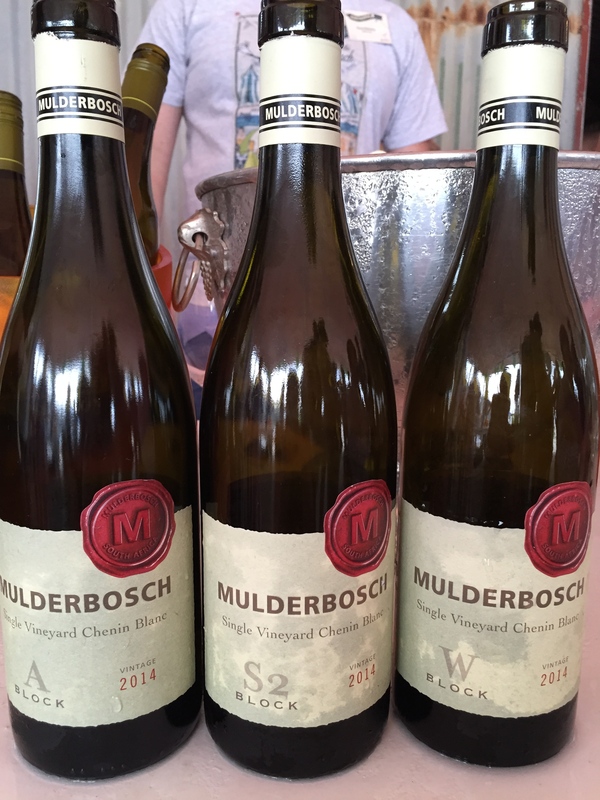 I also tasted a range of Chenin Blanc from Mulderbosch and was particularly impressed with the trio of single vineyard expressions they produce from vineyards in Stellenbosch. Not only are the wines very good but the idea of promoting a focus on terroir via Chenin Blanc is a smart one for South African producers – surely this is the grape that will be South African wine’s point of distinction, no? The single vineyard series is released as a set of three wines, each vineyard is in close proximity to the other yet affected by slightly different climatic influences. The S2 Block is a shade further inland than the other two vineyards and I thought this came through in a fuller, riper style of wine. The W Block, more restrained in style, is subject to more maritime influence than the other two sites. My personal favourite was A Block with its stone and tropical fruit characters alongside some zingy tangerine notes. All three wines are balanced and stylish and, most importantly, eminently drinkable. If only there was enough room in my suitcase for a pack or two – I could easily imagine enjoying these wines with friends over dinner.